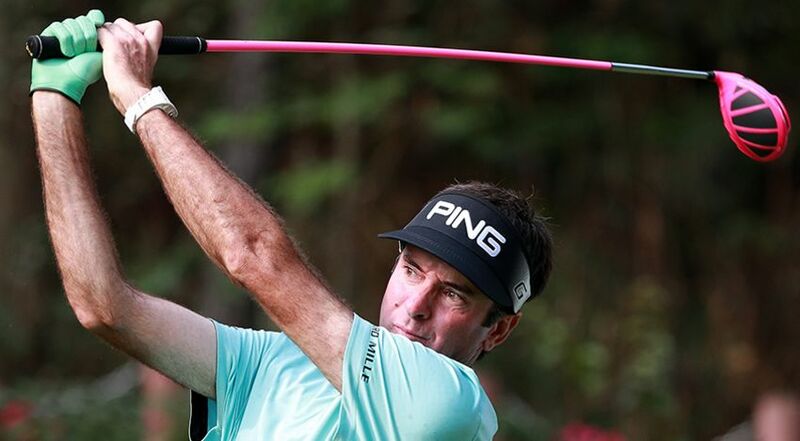 SHENZHEN, China — Bubba Watson fired a 6-under 66 in the first round to take a one-stroke lead at the weather-delayed Shenzhen International on Thursday. Starting on the 10th hole, Watson bogeyed the 12th but bounced back with birdies on Nos. 13, 14 and 16 to turn in 34. A birdie at the first hole was then followed by an approach shot to eight feet on the par-5 second, setting up an eagle that sent Watson to the top of the leaderboard. 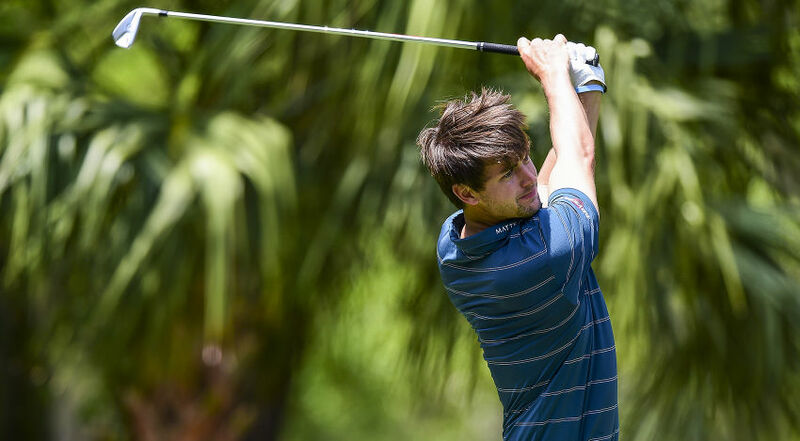 The South African duo of Dean Burmester and Haydn Porteous was tied for second with Gregory Bourdy of France, German Maximilian Kieffer and Thailand’s Thongchai Jaidee. Play was suspended for almost two hours due to the threat of lightning at Genzon Golf Club. South Africa’s Dylan Frittelli finished his round and was tied for seventh at 4-under 68, along with Dane Thorbjorn Olesen, Eduardo de la Riva of Spain and Austrian Bernd Wiesberger who all have holes to complete when play resumes Friday. PONTE VEDRA BEACH, Fla. – The PGA TOUR announced today that the Web.com Tour’s Corales Puntacana Resort & Club Championship in the Dominican Republic will transition to the PGA TOUR beginning next season. It will debut March 19-25, 2018, the same week as the World Golf Championships-Dell Technologies Match Play, offer 300 FedExCup points to the winner and carry a purse of at least $3 million. Through a new four-year agreement, Grupo Puntacana, which owns and operates Puntacana Resort & Club, will serve as the host organization and the Tom Fazio-designed Corales course will remain the tournament course. 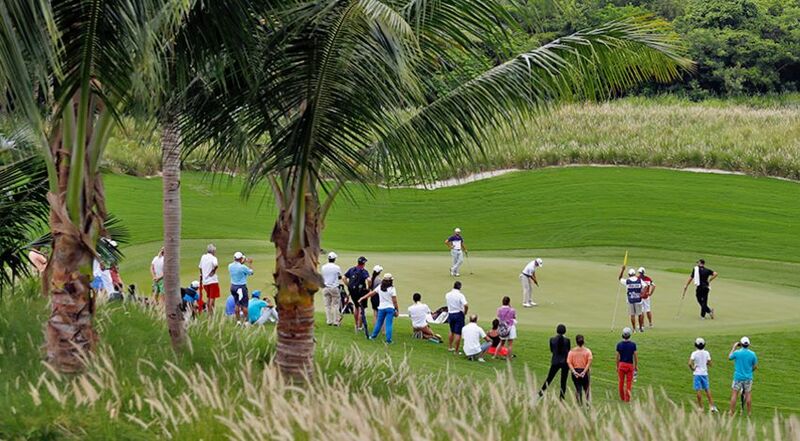 The Corales Puntacana Resort & Club Championship will be held for the second time on the Web.com Tour this May 1-7. The Corales course, which opened in 2010, plays along the cliffs, bays and coves of the Caribbean Sea and the inland lakes and coralina quarries. Six holes play along the ocean including the final three, known as the “Devil’s Elbow.” The 18th hole includes a forced carry over the cliff-lined Bay of Corales. In last year’s inaugural Corales Puntacana Resort & Club Championship, Dominic Bozzelli claimed his first Web.com Tour title by shooting 24-under par to win by four strokes over three players. Bozzelli went on to qualify for the current PGA TOUR season by finishing seventh on the Web.com Tour Regular Season money list. The race for the FedExCup has just pushed past the halfway mark and as such it is time to check in and see who is looking good for a place in the TOUR Championship and who has work to do if they want to feature in the Playoffs. It’s also a great time to check in on our 18 bold predictions from the beginning of the season to see where we were right, where we might still be right, and where we need a minor miracle to be right. As we head into our 24th event of the year at the Valero Texas Open, there is no surprise to see the reigning PGA TOUR Player of the Year Dustin Johnson leading the way. Johnson has three wins already this season plus a third place and sixth place finish in just seven events and sits on 1,903 points – good enough for an 81 point lead over Hideki Matsuyama. Given it took 1,607 points to make the TOUR Championship last year, it would appear Johnson could fall down a few more stairs and still make his way to Atlanta. But of course you get the feeling his winning days aren’t over. And after the FedExCup slipped through his fingers on Sunday at East Lake last year Johnson feels he has unfinished business. If we use last year’s mark of 1,607 points to get to the 30-man season ending event then Matsuyama (1,822) and Justin Thomas (1,793) are the only other two players who can already plan their itinerary. Using the 454 points as the mark it took to enter the top 125 and a berth in the Playoffs last year we see 42 players already past the mark. The 41st player on the current list is defending FedExCup champion Rory McIlroy so chances are we are set to see him have a chance to be the first player to go back-to-back and just the second player behind Tiger Woods to win the Cup twice. Other big names already in front of last year’s Playoffs mark include Jon Rahm (1,361), 2015 FedExCup champ Jordan Spieth (1,104), Rickie Fowler (1,069), Justin Rose (980), Sergio Garcia (877), 2011 champion Bill Haas (645), 2012 champion Brandt Snedeker (517) and Phil Mickelson (475). And while this leaves plenty of players, including the likes of Jason Day, Henrik Stenson and Patrick Reed with work to do, the biggest concerns come for those players outside the top 125 of this season right now. The 2010 FedExCup champion Jim Furyk is one of these men. As too are Masters champions Bubba Watson and Danny Willett. Furyk is the first man on the outside looking in, sitting in 126th place. Watson sits in 129th. Willett – well he is languishing in 204th. Currently 11 rookies are inside the top 125 this season with last start winner Wesley Bryan leading the way at 11th in the FedExCup. Of the 30 players to make the TOUR Championship last season currently Si Woo Kim (139th), Roberto Castro (156th), and Watson (129th) are the only three players outside the Playoff zone.